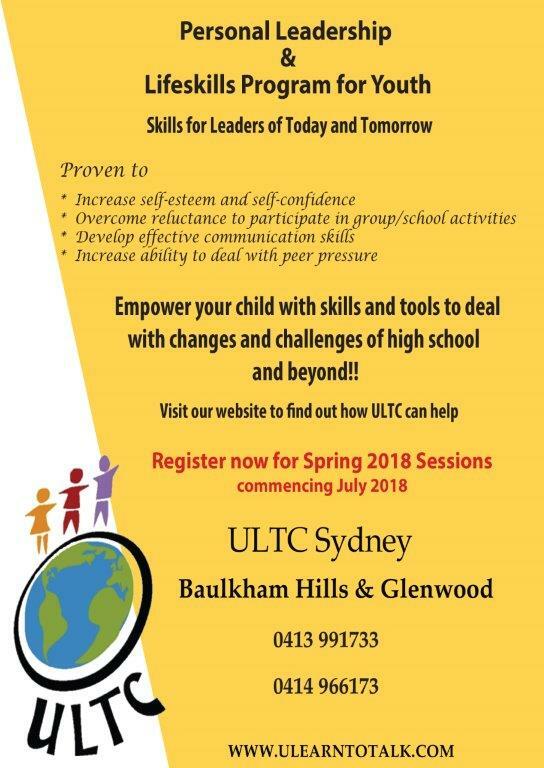 Built on a foundation of effective communication, the ULTC Personal Leadership & Life Skills Program for Youth is a unique program designed for youth aged 10-18 years, to create self- awareness as a key to personal development and personal leadership so that they can live their lives to their fullest potential. Purpose of ULTC is to develop self-confidence in youth and build up their self- esteem so that they are able to create their own unique path to success – success as defined by them, not a definition borrowed from others. Our aim is to create well-balanced, all-rounded individuals who are independent and self-reliant, but comfortably interdependent. The unique feature of ULTC program is the learning of skills through facilitator led interactive peer learning sessions in a fulfilled environment. Our focus is on incremental development through continual hands on practice. The way the program is structured, it allows plenty of opportunity for the members to practise the skills taught in each session. In addition to public speaking, presentation and debating skills, they will learn essential life skills such as interpersonal communication, creative problem solving, organisation, time management and teamwork skills, and workplace etiquette. The personal leadership skills taught are skills that can be applied in all educational, career and social settings throughout a member’s life. We strongly believe in empowering our youth at an early age to face and deal with the ever-increasing demand and challenges of the current world and define and achieve their own path of success in their life. The program is delivered on a fortnightly basis on Sundays at Baulkham hills Community Centre, Windsor Road Baulkham Hills. There are eight sessions per semester and two semesters per year. Please refer to the attached program detail.